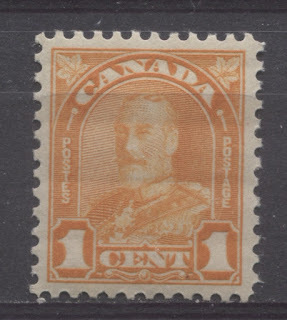 This issue was the first to be printed by the British American Bank Company, when they took the contract for printing stamps from the Canadian Bank Note Company in 1930. They held the contract for five years until 1935, when the Canadian Bank Note Company got it back. 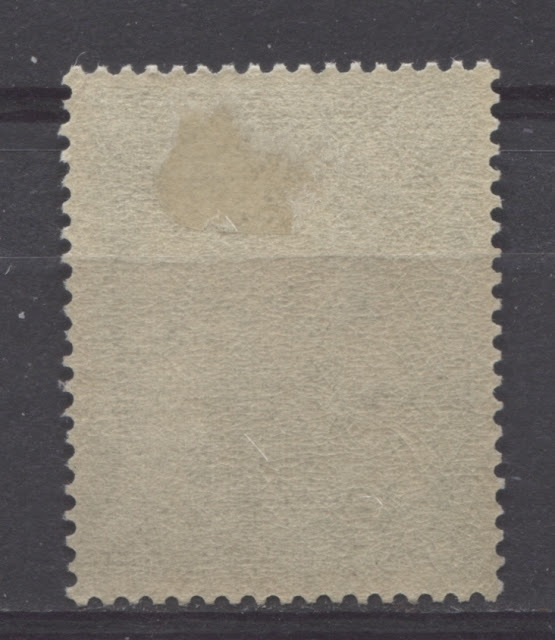 For those looking for superbly centered stamps, this period will represent a very worthy challenge because superb centering is very difficult to find and because most stamps from this period were perforated 11 and not 12, it is hard to find stamps with even perforations on all four sides. In addition, this was the first issue to be printed using more than one printing process: The low values from the 1c to the 3c, and some printings of the 5c violet were all printed using the Stickney rotary presses, while the other values were all printed on flat plates. In addition, several of the booklet panes of the 1c and 2c values were printed from flat plates as well. Today's post will deal with a topic that was requested by one of our regular readers: how to identify mesh patterns in wove paper and weave direction. None of the standard or specialized catalogues devote much attention to distinguishing differences in wove paper. However, this has begun to change, with Unitrade beginning to list the vertical and horizontal ribbed paper types on both the 1954-62 Wilding Issue and the 1972-1977 Caricature and Landscape Issue. In reality, most issues of Canada exhibit some differences in either the direction of the paper weave, or in the presence or absence of surface ribbing. In my humble opinion, these differences are every bit as important or collectible as the difference between laid paper and wove paper on Canada #1 & #4 as well as #25 & #33. I will attempt in this post, to explain how to identify the differences in paper weave direction and how to determine if a paper is ribbed or not.